MedAdvisor is helping people around the country to use medication safely, effectively and on-time. Read why MedAdvisor’s apps for Apple, Android and PC browsers are Australia’s most popular tools for medication management. "EXCELLENT APP Now I can pre-order my regular Meds & not have to sit around and wait for them, I can now do that from the comfort of my home with my Smartphone & pick them up on the date and time of my choosing ....:) HOW EXCELLENT IS THAT!!!" "Now and then some great programmers come along and write great software. This is one of them." "This is a fantastic App.. I have to keep an eye on meds for myself, hubby, daughter..."
"Medadvisor is an awesome app, so simple to use and the fact that you can order your medicines online and they let you know when they're ready for collection is fantastic, such a time saver!" "Awesome!!!! I have been using this app for months now and it is a real life saver :) I would be lost without it....well done!!!!" "Have been using this app for almost a year, very happy with the reminder function to refill prescriptions etc..."
"This app has helps me to manage my medications. I was forever forgetting to take medicines and running out and getting stuck. This never happens any more. I'm very grateful. Thank you"
"No need to ever wait in queues to order meds. I love this system as I can place an order in the morning and it is ready to pick up on the same day." "This is brilliant. Order & keep track of all your meds in one place - no cost!" "It just make keeping track and ordering your meds so so much easier. There's no need to sort through all your paper prescriptions & repeats anymore!" "This app is a must-have for those that take regular medication. The tap-to-order function is a godsend!! And the reminders are great when a dosage has changed. 5 stars." "..Between Phil and my wonderful family chemist, I am well cared for. 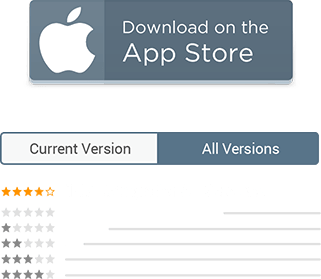 Thankful to the inventors and staff looking after keeping this app working bug free." "Great app. Like not having to wait at the chemist, plus it reminds me when I have to go get another script so I don't miss any days." "Simply no words can describe the ease of use and functionality of this application. Thank you for producing such a program that is light years ahead of any other! 5 stars from me!!!" "This is the best app ever !!! So easy to use. Tap, and wait for message to say meds are ready."